Victoria Purman is a multi-published, award-nominated author whose latest novels are The Last of the Bonegilla Girls and Belle’s Secret. Her 8th single title book, The Land Girls, will be published on April 23rd 2019 (HQ Fiction). She has had a long career in the media, politics, government and the private sector as a media and political adviser and a communications specialist. Victoria has appeared at Adelaide Writers’ Week, Sydney Writers Festival and the Byron Writers Festival. She has been nominated for a number of readers’ choice awards, and is also a mentor and workshop presenter. 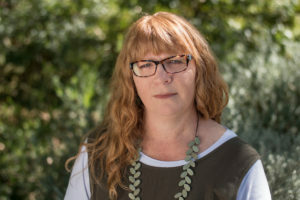 Victoria was most recently a judge in the fiction category of the 2018 Adelaide Festival Awards for Literature. You can find many of her works and events on Facebook, Twitter, Pinterest and on Goodreads.